I did something completely, utterly, crazy and spontaneous. Let me just briefly explain that I am more of a plan-in-advance-be-responsible kind of girl. But my Disney annual pass was expiring and I felt this overwhelming sense of DOOM. They raised their prices again for the next year, and taking into consideration our life plans over the next few years, it will be quite a while before we can afford passes again. We have had passes twice in our lives, and my goodness have we had fun. I just wasn’t ready to say goodbye. I needed one more fix. Only problem: everyone was busy. Everyone except me and my youngest daughter. So, I got on the phone and found a cheap hotel across the street. And I emailed my daughter’s teachers at school. I told my daughter I would be picking her up early from school so I could take her to an eye appointment. I packed up the car out of her sight, left work after my class, and picked her up at 10:30 AM on Friday. She climbed in the car, and was wondering right away why her pillow and blanket were there. I asked her if she would rather drive straight to Disneyland. She didn’t believe me for a second, and then finally she took it in, asked in a little squeak, “Just you and me?” I said yes and she started crying. What a sweetie and what a fun surprise. So we did it. We drove to Disneyland and had a blast. Just me and my ten year old. 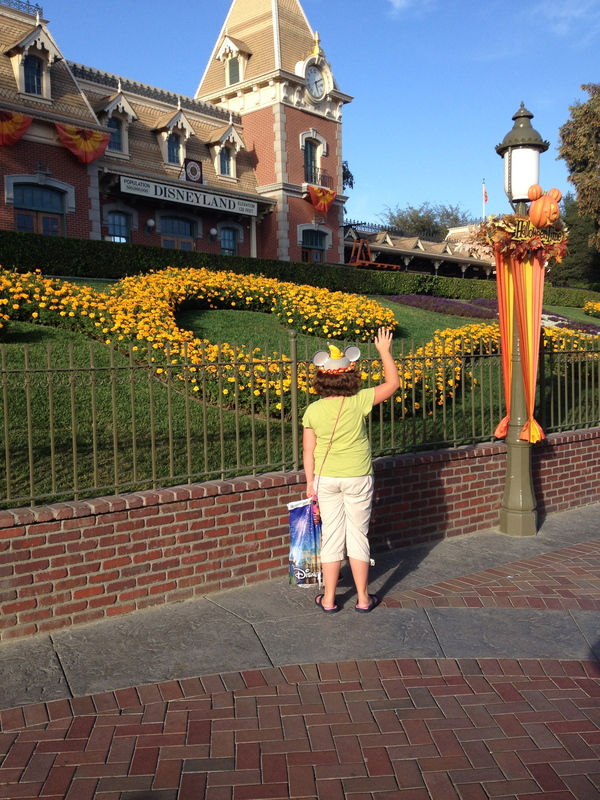 Disneyland in the fall is nearly as amazing as Disneyland at Christmas. We took our time and really enjoyed the details in the decorations. 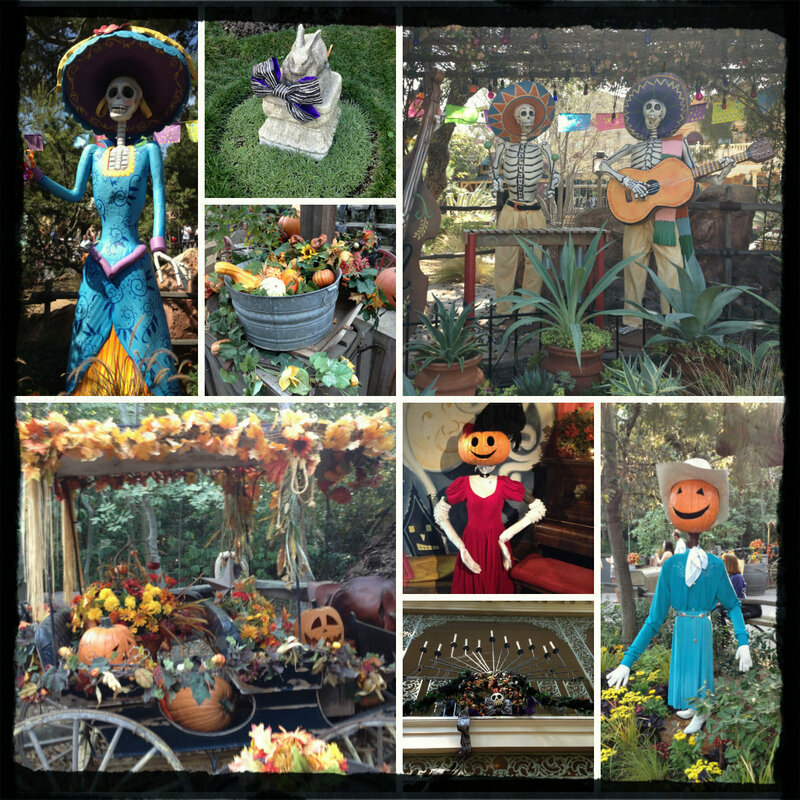 Over in Frontierland the fall decorations are all inspired by Mexico’s Day of the Dead. They are both festive and macabre. Back in the new area of Big Thunder Ranch Jamboree there were crafts, characters, carnival games, and a new spooky show by Billy Hill and the Hillbillies. 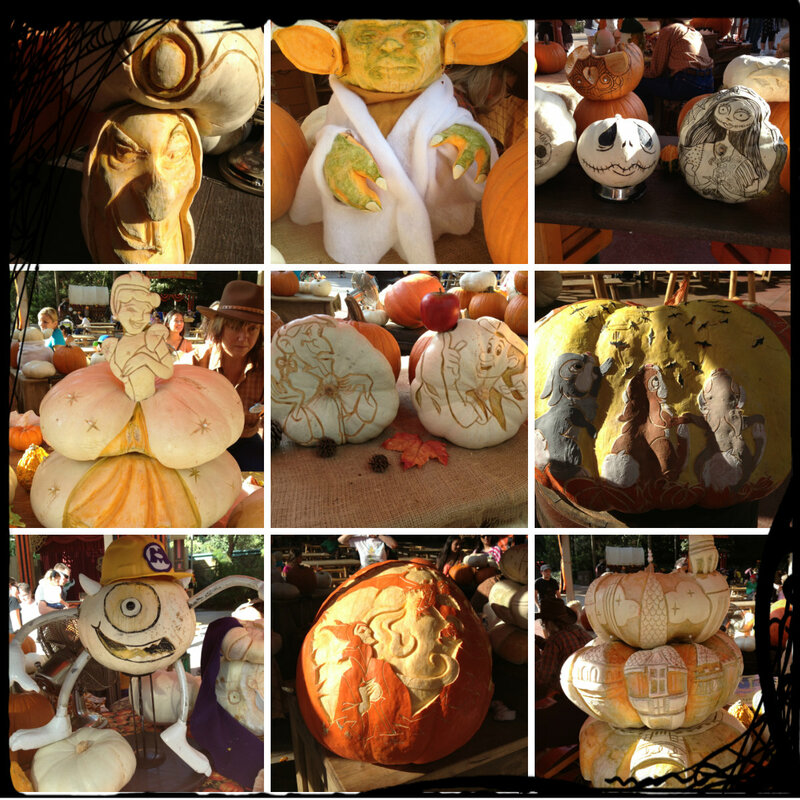 One of the most amazing things tucked away back at Big Thunder Ranch was a draw dropping display of artistically carved squashes and pumpkins. Check out these amazing pumpkins! Last time we were in Disneyland we had a tragic occurrence. My littlest’s mouse ears were left on a ride and disappeared. She was so sad! 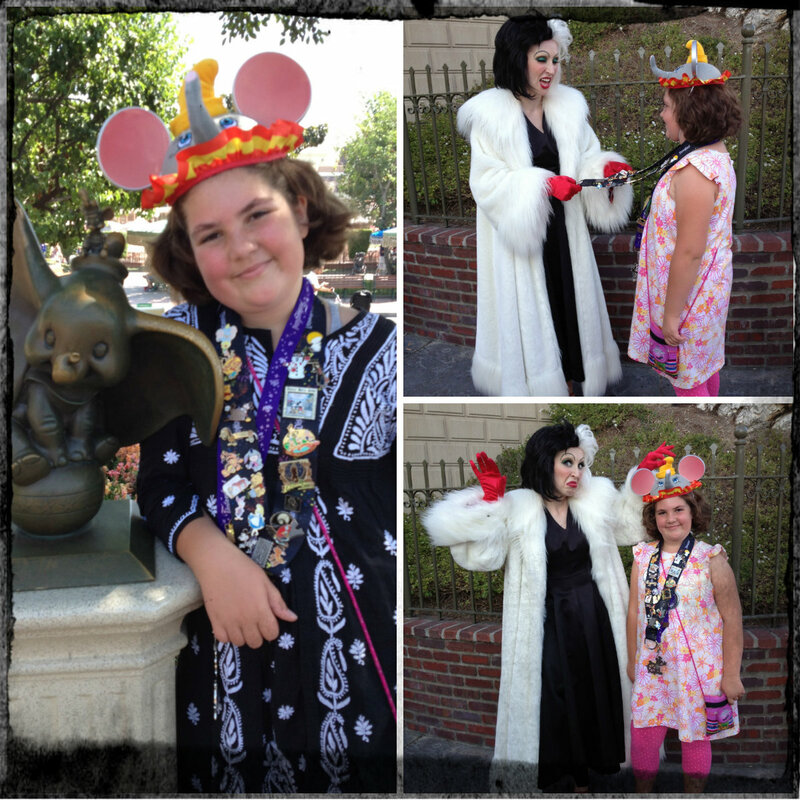 So our first order of business was to take her birthday money from Grandma and get her some new ears. Lots of spooky characters can be found roaming about during the fall holiday. These characters are actually so much fun because they interact more with guests and relish being evil and unpleasant in that fun Disney kind of way. 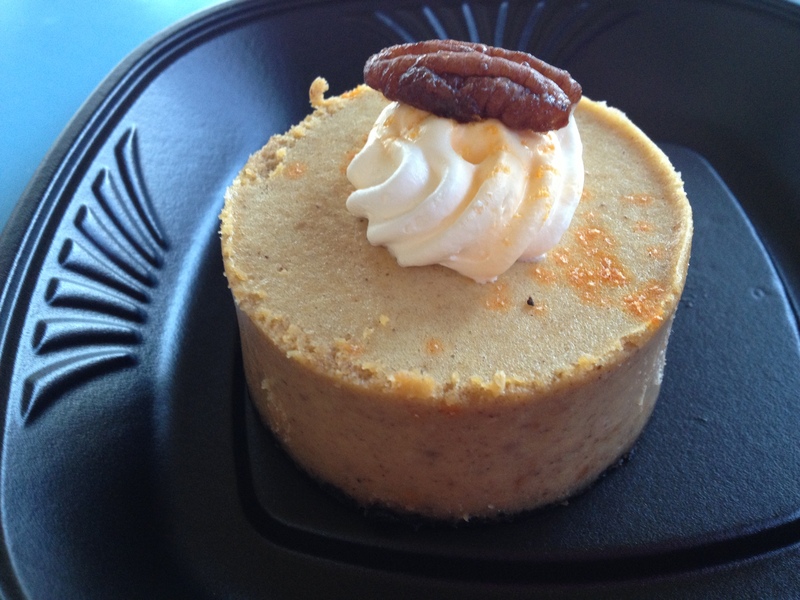 Of course, no Disney trip is complete without a few treats. And during the fall, there are some wonderful seasonal delicacies that are really worth the calories. Considering that we walked about ten miles a day, we felt justified in indulging a few times. (Yes, I wore a pedometer). 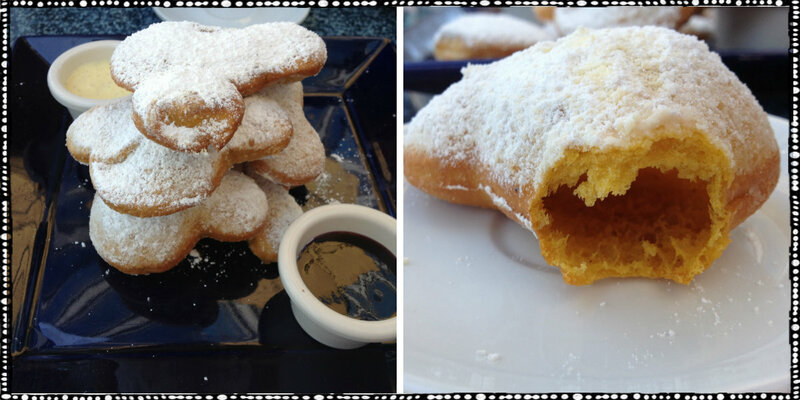 Mickey pumpkin beignets only available from Cafe Orleans in New Orleans Square, served with raspberry and vanilla bean sauces. Of course we rode rides, enjoyed the shows, and did a tiny bit of shopping. We went early in the morning and knocked out lots of stuff, and stayed the whole day. We rode Grizzly Rapids several times in a row and were completely soaked. We laughed a lot, and had sore feet at the end of the day. We slept like logs. As we left, I had baby girl offer her final farewell. Dear Disneyland, we love you. We will miss you. Please quit raising your prices. We want to be able to visit again! What a great mom you are! That looks like so much fun, and the treats look delicious! I have my moments. At least now I have proof I was fun once! Absolutely! I have quite an arsenal of tips now?